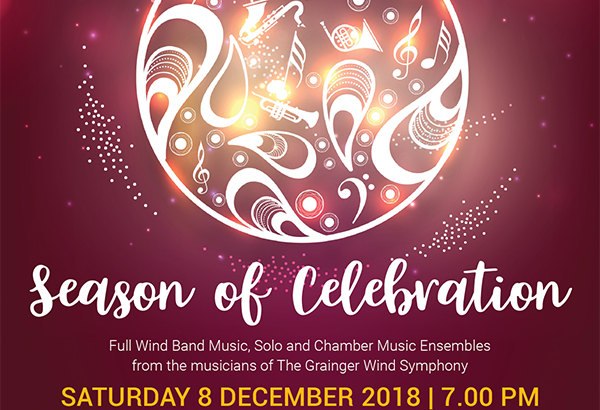 Our final concert for the year “Season of Celebration” is on Saturday 8 December 2018 in St Stephen’s Anglican Church 360 Church Street, Richmond. The program features some interesting solo items by musicians in the group and showcases their fine musicianship. Kristian Gregory who is also our regular compere, will sing several baritone songs to add even more to the final celebration. The full wind symphony conducted by Roland Yeung will perform works that are appealing, tuneful and energetic. We hope you enjoy concert.